SAMPLER I is a 72 minute compilation of songs from Marcey's first five albums, INWARD HARMONY, Z, CELESTIAL DANCE, ANTHEM TO SOUL and DREAM PARTNER. Marcey calls this album the quick fix. 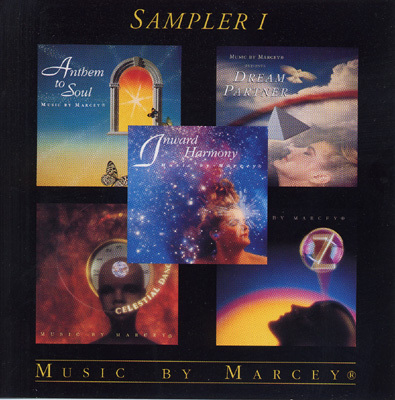 SAMPLER I is a wonderful way for someone to experience the impact of Marcey's music in a short period of time.